Stolz and Associates maintains a multifaceted practice in the area of insurance law. We have long-standing relationships with insurance companies who retain our firm to defend their insureds in a wide variety of litigation. 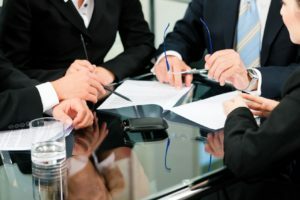 We are retained by insurance and claim administration companies to defend insureds in a wide variety of litigation matters, including trucking and motor vehicle accidents, premises liability, work site accidents and exposures, and tort suits filed against businesses, such as malicious prosecution, defamation and infliction of emotional distress. Our insurance law attorneys strive to achieve the best possible working relationship between the insurance company and the insured, implementing a well thought out litigation strategy. Insurance companies that retain Stolz and Associates to defend insureds include some of the largest carriers in the world, as well as mid-sized, regional and specialty carriers. Our practice also includes defending direct actions against insurance companies and other coverage work, often involving large amounts of claimed damages. Many cases focus on interpretation of policy clauses and exclusions, multiple policies, layers of coverage and reinsurance, and claims of “bad faith” on the part of the insurance company. Our insurance law team also assists insurers in managing claims in order to avoid litigation, particularly with respect to actions arising out of demands for independent defense counsel in response to a reservation of rights, and demands for settlement within policy limits. We also represent excess insurers in major tort cases, including those in which we monitor the defense provided by the primary carrier and those in which the excess carrier has disputed coverage. Stolz and Associates insurance lawyers have knowledge and experience concerning many types of insurance products, including Commercial General Liability, Directors & Officers, Professional Liability, and Excess and Umbrella. Our team strategically applies their knowledge of the insurance industry to defend insurers effectively in a responsive, proactive manner. Our insurance law team specializes in representing commercial insurance brokers and agents. Our attorneys have considerable experience defending suits alleging misrepresentation or other wrongdoing on the part of company agents proceedings involving state regulatory issues. Our clients include some of the largest brokers in the United States and internationally. Cases we defend for insurance companies often involve other areas of the law, such as employment law and product liability. Our group draws on the resources and expertise of other Stolz and Associates lawyers in these practice areas when appropriate.